In a country where the athletes are getting least noticed and they were finding hard for infrastructure, the rise of Seema Punia is commendable. Born in a humble family Seema Punia was attracted to sports right from her childhood days. During her early days, she was interested in basketball but her school coach identified her talent in discuss throwing and the rest is history. Having made headlines for wrong reasons twice (tested positive in a dope test conducted at junior championships 2002 and 2006 Asian games) her willpower and hard work made her reach the position where she is standing these days. This Haryana lad has won many laurels to the country over the years. Truly she is an inspiration to budding sportsmen across the country. Being born in a middle-class family she conquered a lot of hurdles and problems to reach the top level. 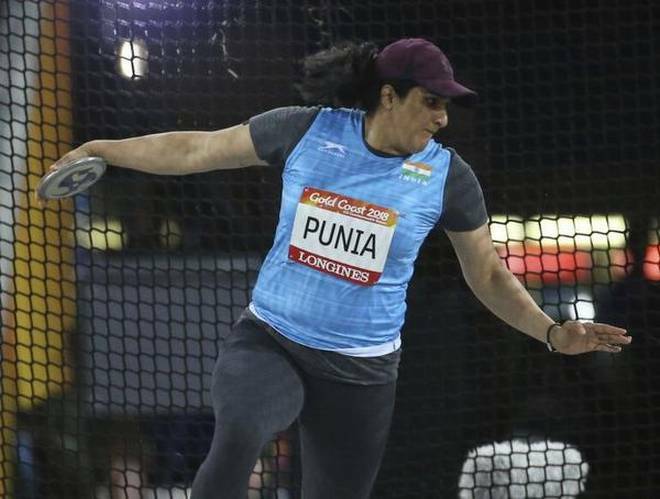 Here is the inspiring story of India’s leading discus thrower Seema Punia. Formally known as Seema Antil, was born on 27th July, 1983 at Khewda village of Sonipat, Haryana. She graduated from government college, Sonipat. Right from her childhood days, she is very much interested in sports. She participated in all kinds of sports during her school days. Later she turned her interest into discus throwing. She originally won a gold medal in 2000 junior world championships, but found positive in the dope test which led her immediate disqualification in the event. After that, she went on to win the same junior championship title in 2002 which marked her official entry into the international arena. 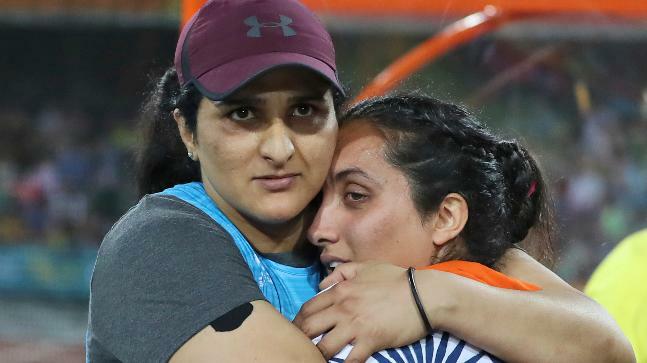 She was born and brought up in a humble middle-class family and she got married to her fellow coach and former discus thrower Aukush Punia and the couple blessed with two children. Ankush Punia is also a discus thrower who participated in 2004 Athens Olympics. As mentioned earlier gold medal at 2002 junior world championships marked her arrival and since then she has established herself as a prominent member of the Indian athletics team. Despite testing positive in the 2006 Asian games he got cleared immediately and that didn’t hinder her rise in the sport. She won the silver medal at the 2006 commonwealth games and made the nation proud. 2010 marked as the golden year for Seema Punia as she went on to win a silver medal at commonwealth games and gold medal at Asian games. She was one of the highly anticipated athletes to win a medal at the 2012 London Olympics but she ended her campaign by finishing 12th position which was really shocking among the sports fraternities across the country. She stills plays the game and her passion towards the sport is a never-ending one. She once said in an interview, though she could not manage to bag a medal at the Olympics, she will make budding youngsters to do that by guiding and coaching them. She won more accolades for the country and will ever be remembered for her heroics in Asian and Commonwealth Games. Seema Punia won the world junior championships in the year of 2002 as mentioned earlier since then she becomes the notable sportsperson in the Indian athletic circuit. This Haryana giant is having a golden run in commonwealth games as she won silver medals in 2006, 2014, 2018 commonwealth games respectively. She defeated all the odds and bagged the gold medal in the 2014 Asian games, which is the biggest victory in her career that is still continuing more than 15 years. Besides this, she also represented India in Olympics at 2004, 2012 and 2016 editions respectively. Due to her controversial associations in the doping scandal, she was not awarded any central government awards like other sportspersons. But she has won BHIM award from her state government Haryana. Apart from sports, this soft-spoken has been involved in many social activities. She actively participates in women empowerment campaigns across India. 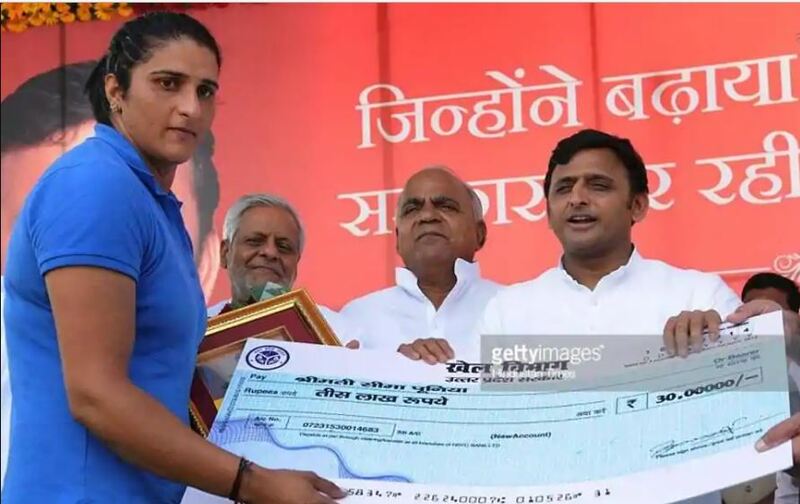 She also contributed rupees 1 lakh to Kerala flood relief and insisted other fellow sportspersons do so. She showed her interest in setting a world-class athletic academy and give training to unprivileged youths for free. 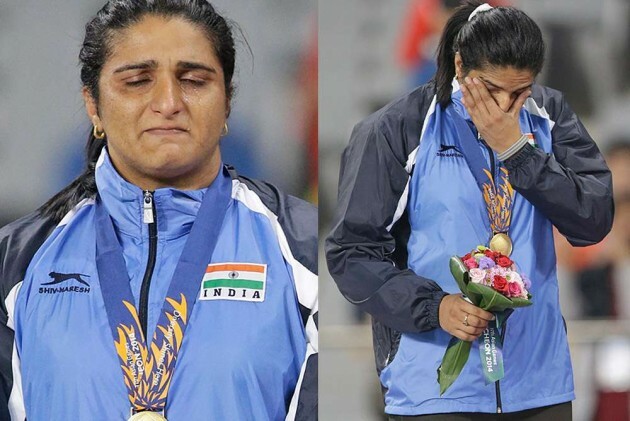 One of the greatest athletes in the recent times Seema Punia sets her goal towards the 2020 Tokyo Olympics. We wish her great success for the event. She should have celebrated for her achievements, but due to her doping scandal, she didn’t get proper recognition for her achievements. In the future, we wish everyone should recognize her contribution and starts celebrating her. Despite many ups and downs in her 15-year long career, she is a true warrior and will continue to inspire fellow sports enthusiastic. Hope all dreams come true in future.